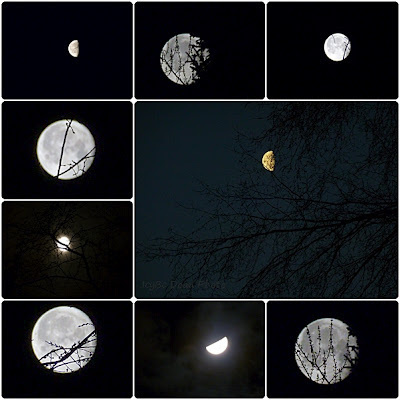 Wonderful captures of the moon and it's many personalities! A great quote as well! Hope you have a wonderful weekend! Happy SWF! Thank you, as always, for your visit and comment! They are always appreciated! Great captures of the moon!! Boom & Gary of the Vermilon River, Canada. Icy these shots are amazing. Such beautiful detail and composition on all of them. really like that 2nd collage! Oh, you got some great shots! You've done a fabulous job! 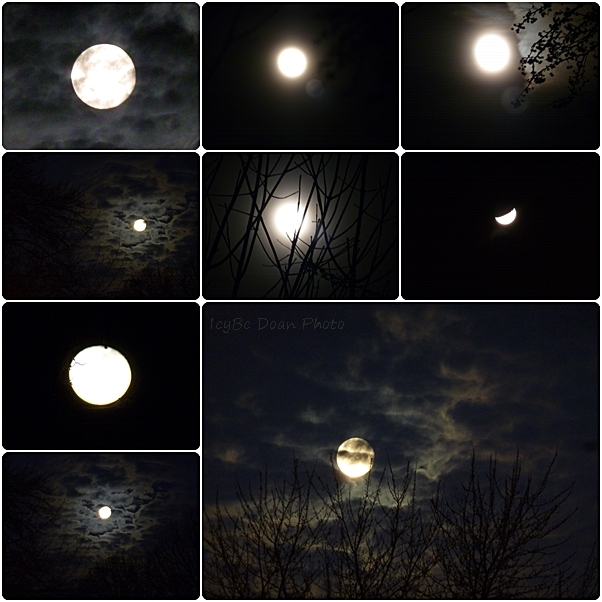 What a neat series of moon shots! Well done!! oh wow, those are beautiful mosaic of wonderful moon shots. you did an awesome job putting this together !! pretty !!! Whenever we have a foggy sky and the moon is not visible ( so many nights ), I will have to pull up this incredible post with your fabulous moon shots...one of the loveliest collages I've ever seen, Icy.